When your dog barks at the mailman, it means he wants him to go away. He thinks he is doing his job of protecting his home because when he barks the intruder leaves. If this is the case, you must condition a new behavior when the mailman comes to the door. Meet this kind hearted, animal lover who feels proud to distribute small gifts among the dogs on his way. 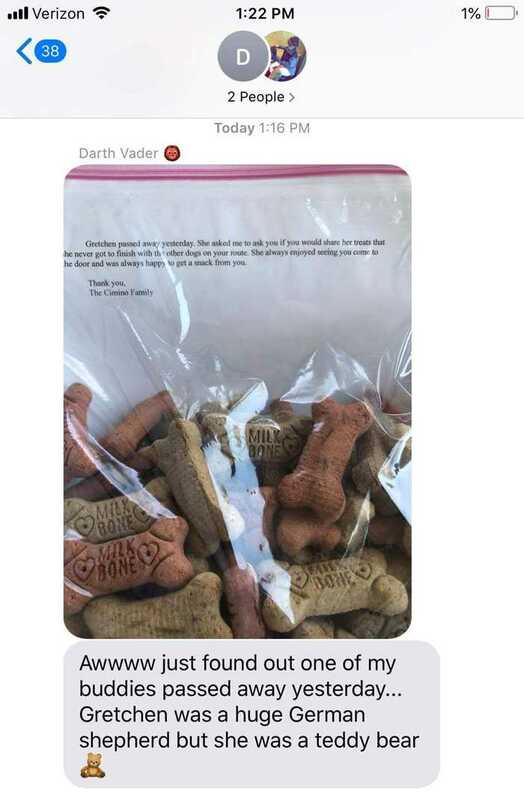 A Twitter user shared that her dad would always carry special gifts for the dogs on his route. He was not only loved by his canine friends but appreciated by their owners too. One day during his route, he received an unexpected and sad news, with a heart-wrenching note from one of his regulars. He came to know that their dog had passed away. 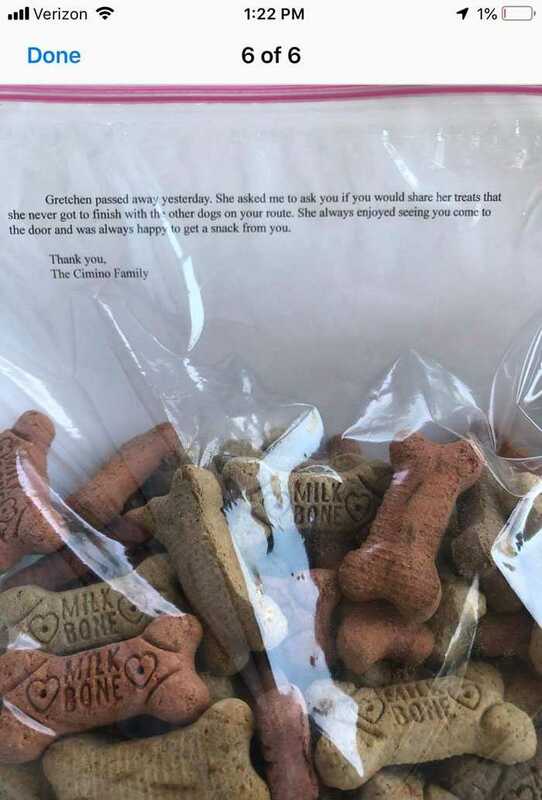 On this heart breaking incident, the dog’s owners decided to pay it tribute to their pet and the story is truly wholesome. 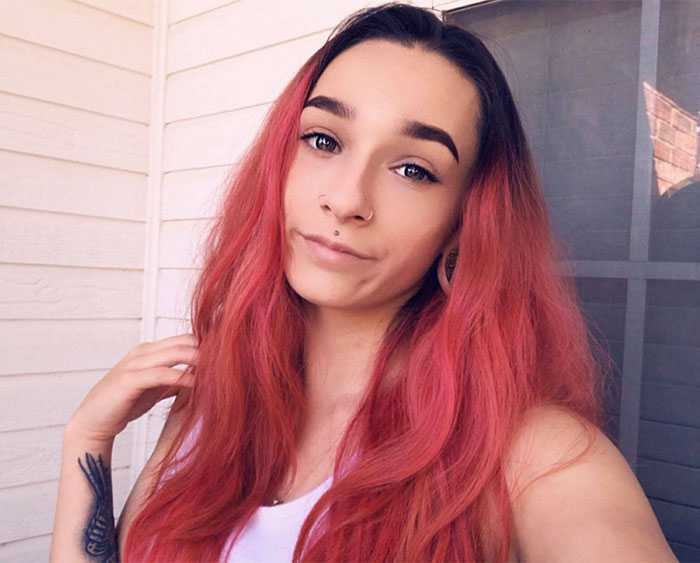 It was admired by many people on social media. 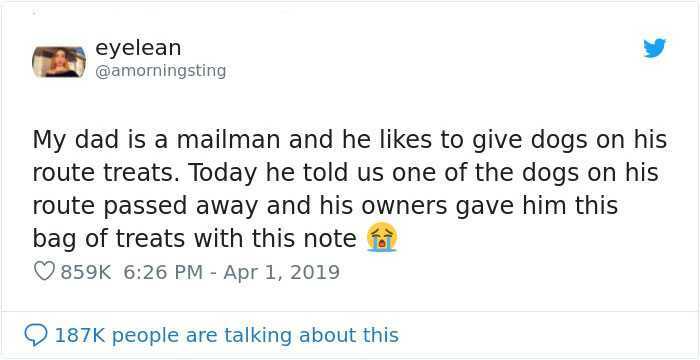 Texas twitter user tweeted out about her dad who is a mailman that gives treats to all the dogs he visits on his route. Recently one of his furry friends passed away, that made every one dishearten.